What does technology for good mean to you? 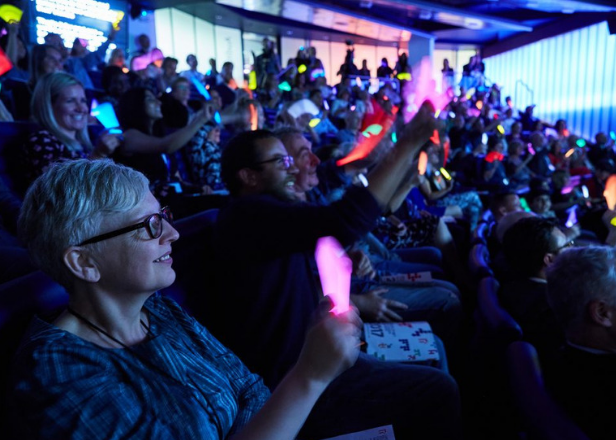 At the beginning of May we asked Liz Williams, General Manager of Sustainable Business at BT, what sponsoring the Tech4Good Awards means to BT, and to say a few words on why she believes technology has the power to transform communities. In this short video Liz looks at previous winners of the Tech4Good Awards, including LexAble, who won the Accessibility Award in 2012. She also looks at how much of an impact other previous winners are having on their local community, how they are improving people’s lives and how they are making the world more accessible for those living with disabilities. Remember you have until 5pm on 10th July to vote for who you want to win the People’s Award at this year’s Tech4Good Awards. Visit the voting page to vote through the website, and you can also vote through Twitter, using each finalist’s unique hashtag. You’ll be promoted to tweet once you’ve voted through the website, and you can also find these hashtags on each of the finalist’s individual pages, under Finalists 2014.